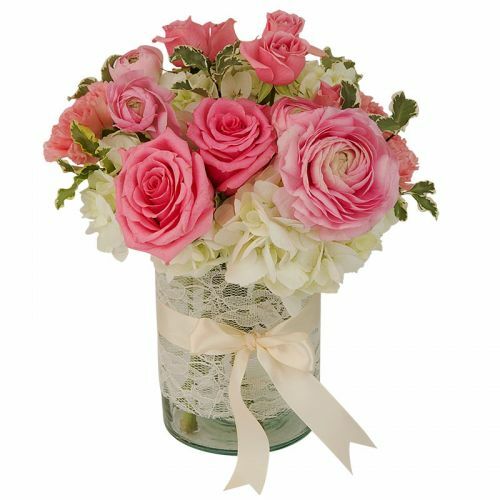 An adorable arrangement in pinks and creams. This is a recycled glass vase, wrapped in lace with a satin ribbon. There are white hydrangeas, pink ranunculus, pink carnations and two types of pink roses.